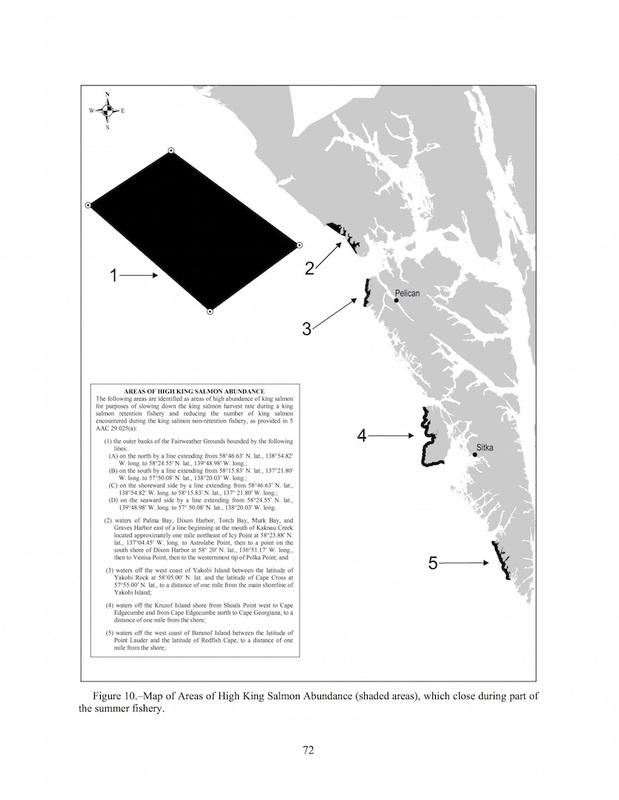 What is the "Area of High King Salmon Abundance"? As you can see from the blow map Alaska Department of Fish & Game lists our fishing area as right smack in the middle of the "Area of High King Salmon Abundance" for Alaska. This chart comes from the annual management plan for the salmon troll fisheries that the Alaska Department of Fish & Game puts out every year. The big area offshore, which is the "Fairweather Grounds," is too far for us to fish but it is home to the very best king salmon fishing in the world. Just inside on the beach is the outside coast of Yakobi and Chichagof Islands and Deer Harbor, a historic king salmon fishing location. Our lodge is a 45 minute run from Deer Harbor and we have plenty of king salmon year round. There is even a winter fishery for kings inside Lisianski Inlet and during summer it is common for us to catch them there as well by trolling right in front of the lodge! 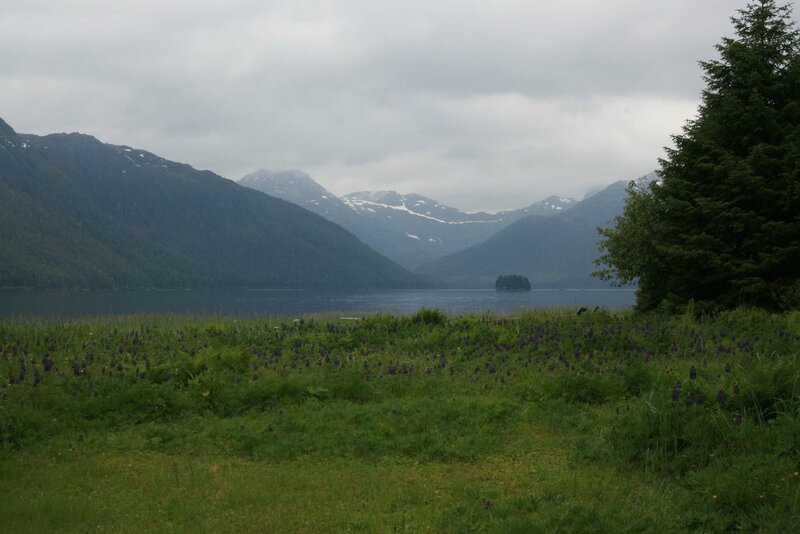 The view of Lisianski Inlet from the lodge, a calm June day, look closely you might see a ball of herring breaking the surface and a big king salmon chasing them!